I recently presented on the CRMXchange Technology Innovation Showcase, a webinar we‘ve done for the last six years. Presenting on a webinar for an hour with about a hundred company executives listening from all parts of the world, with potentially hundreds of people listening to the recording later, and without any friendly faces to look at in the audience, or in fact without any feedback whatsoever, doesn’t sound like much fun! But I love it. The reason I love presenting on a webinar of this nature is that it gives me the opportunity to present the best of what our employees, customers and partners have produced over the past twelve months. 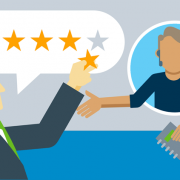 I’m fortunate enough to run an organisation that is at the forefront of helping organisations deliver superior customer experience in the modern world. Using technologies like natural language processing and machine learning, combined with the amazing talent within our company, is like a dream come true for me. Don’t get me wrong, running a company in a highly competitive market is not always a bed of roses, but the joys far outweigh the negatives, and it’s preparing for a webinar like this that gives me the opportunity to reflect on all the great stuff our company does, and at the same time it helps me to contemplate the next generation of our products and services. 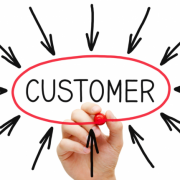 We have some fantastic research and development projects going on that promise to transform customer experience even further. 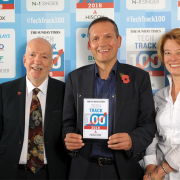 The key to our success, though, is not to get too carried away with the latest and greatest shiny stuff, but to align our passion for innovation and technology with the needs of our customers. 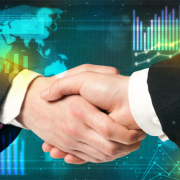 Timing is crucial for a company to be successful. And judging by the great feedback I received following this latest webinar (thank you! 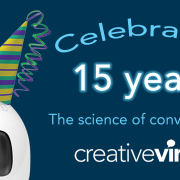 ), I’m confident that Creative Virtual remains exactly on the right track. 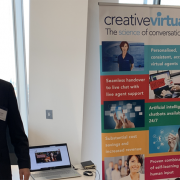 I would like to say a big thank you to our Creative Virtual team for all their hard work and dedication, and to our customers and partners for all their great support. Thank you all for attending or taking the time to watch the recording, and to Sheri and CRMXchange for hosting the webcast. 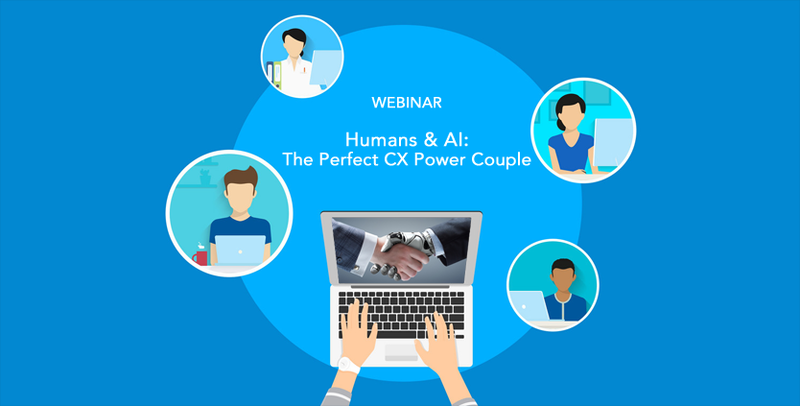 There’s still an opportunity to view the webinar, Humans & AI: The Perfect CX Power Couple, on-demand here.